The hidden world of the British underground in Nazi-occupied Budapest, and its aftermath are uncovered in “The London-Budapest Game,” by Catherine Eva Schandl. Whatever you have seen or experienced during the process, in the jails, prison camps, during your imprisonment is a secret of the State. The breach of this secret is an indictable offense against the Soviet State. In effect, it is considered spying. So keep your silence. 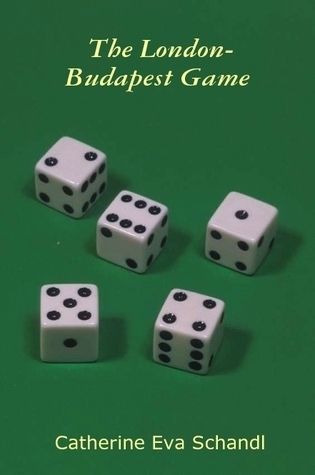 The hidden world of the British underground in Nazi-occupied Budapest, and its aftermath are uncovered in “The London-Budapest Game,” by Catherine Eva Schandl (http://www.swordoftheturul.com/sequel.html). From 1991 to 2001, at the request of Raoul Wallenberg’s brother, a Swedish-Russian joint Commission was set up to investigate the fate of Swedish Diplomat Raoul Wallenberg. The commission discovered that 3 Hungarian numbered prisoners secretly held in isolation in Vladimir prison, Soviet Union had been connected to the Wallenberg case. One of the three Hungarian numbered prisoners was Karoly Schandl, an idealistic young lawyer who had been living near the Swedish Embassy on Gellert Hill, Budapest. His incredible true story first recounted in “Sword of the Turul” now continues in “The London-Budapest Game.” New information is revealed, supported by historical documents as well as excerpts from Schandl’s private writings. Real names are used. 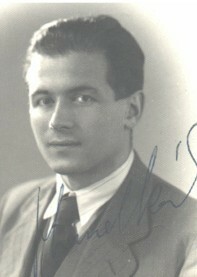 The anti-Nazi resistance group Karoly Schandl operated in was led by his childhood friend, Gabor Haraszty, a young Hungarian lawyer of Jewish origin. Gabor was known as British intelligence agent ALBERT. The group had links to MI9; British intelligence; Colonel Howie; the Dutch and Polish Underground; the Tito partisans; and a group of famous Jewish parachutists from Palestine, with whom they had planned to collaborate in Hungary. In an ironic twist of fate, parachutist Joel Palgi once found himself mistaken by the Nazis for the British agent ALBERT.